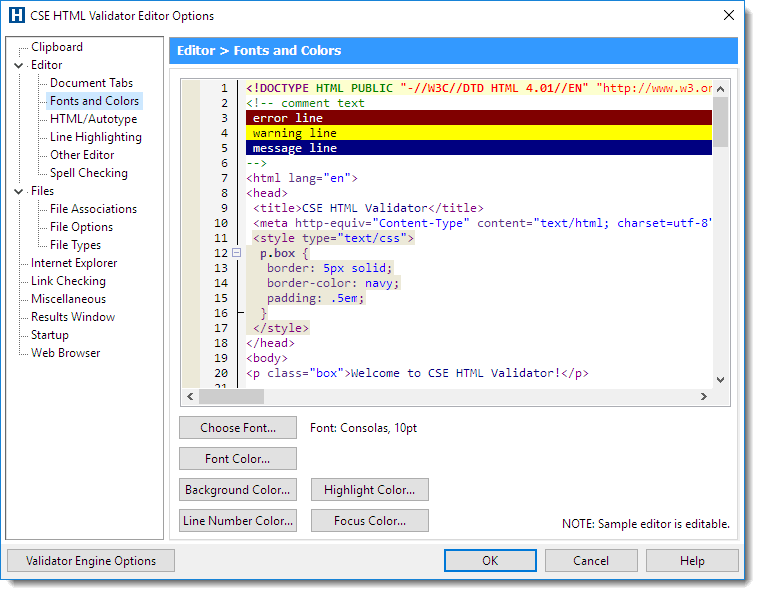 CSE HTML Validator's Editor has many configurable options. The Editor Options Dialog allows you to configure the options that affect how the integrated Editor operates. To access the Editor Options Dialog, choose Options->Editor Options or press Ctrl+F3 in the editor.